I am a busy mom. Which is an oxymoron, since what mom isn’t a busy mom? Right? We moms are always on the go, chauffeuring our kids to and from extra-curricular activities, helping with homework and school projects, fixing boo-boos, all the clean ups of the mess ups, and that’s on a good day. Thank goodness for Walgreens Healthcare Clinic Knoxville. My family is important to me. 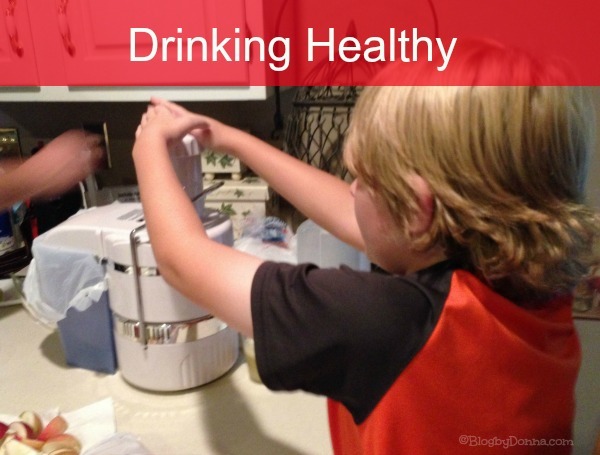 This means not only keeping them healthy, but keeping myself healthy. And even though we try to live a healthy lifestyle by eating lots of fruits and vegetables, drinking fresh juice, and going on hikes and walks often… sometimes we need to go to a doctor. But who has time for that? Not me. The wait at the doctor’s office is long, and if you have to go to the emergency room, well, be prepared for a several hours wait before finally seeing a doctor. Not to mention the cost. That’s enough to make you sick. Sad, but true. Besides, there are times when you need some medical attention, but it’s not an emergency. At Walgreen’s clinics, you can be seen quickly, and cut down on the cost. Preventive care – My whole family can get the flu shot (or mist in my son’s case). My son had already received the flu mist at school but my husband and I stopped by the Walgreens Healthcare Clinic Knoxville a couple of weeks ago and got the flu vaccine. I wanted to get it because I’m at my son’s school a LOT and I needed one to be around my brother, who is facing some health problems. We didn’t have to make an appointment and we were in and out quickly. And the healthcare provider was so good — I didn’t even feel it. Treatment for skin conditions – I have contact dermatitis and will have an allergic reaction from time to time. It’s infuriating, and it’s nice to know I can go and get some relief that works at Walgreens. Allergies and sinus infections – Need I say more? 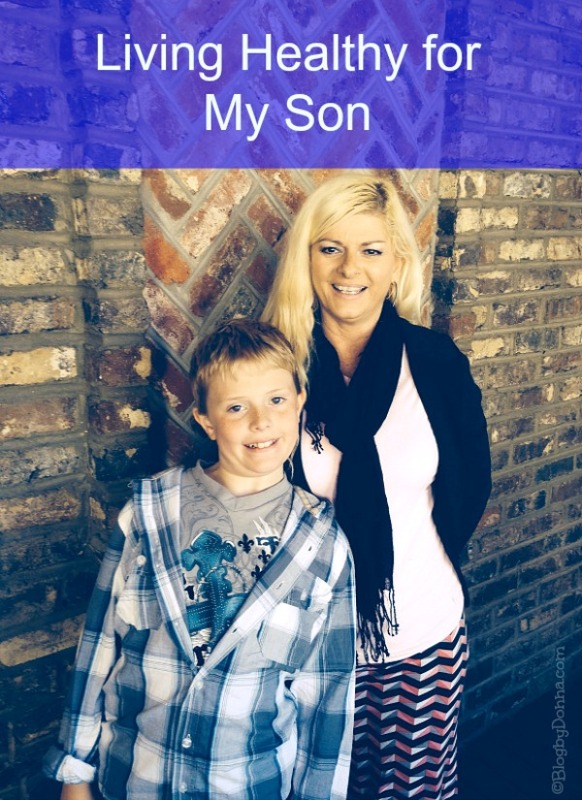 My son and I both suffer from seasonal allergies and I usually get at least one sinus infection a year. Usually the sinus infection hits me right smack dab in the middle of cold and flu season… I don’t know about you, but I do not want to sit in a waiting room around all those germs. Eeeek! Not to mention it may take a day or two to get an appointment. Walgreens makes it so simple and convenient to get some relief. Walgreens HealthcareClinic has made this very busy mom happy by helping me save time and money on healthcare. 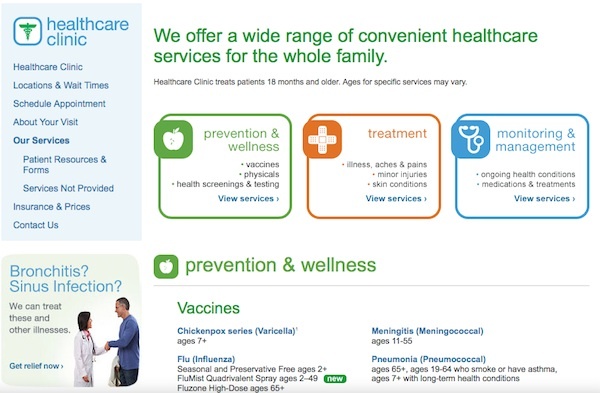 Have you used Walgreens Healthcare Clinic before? What service have you or would you use? I can’t wait until they put one in a store near me. I’m so excited! I’m going to get a tetanus shot. I’m overdue! You know, now that you mention it, I’m sure I’m overdue a tetanus shot, too. I guess I’ll have to drop back by the Walgreens Healthcare Clinic. I have a Walgreens 2 minutes from my house and I’ve never used their clinic, but I totally should. It would be so convenient. That’s interesting that they will do preventative care and even skin conditions. I will remember that if any of us ever has an allergic reaction. Do they take insurance? Yes. They accept most insurances. My husband and I didn’t have to pay out of pocket for our flu shots they took our insurance. Please add one to our local store, Walgreens! All great tips!! No I haven’t ever been to the Healthclinic in Walgreens. They don’t have one near me. I think the biggest plus factor when it comes to having the clinics INSIDE of Walgreens is the fact that you can get your Rx filled immediately, rather than leaving the doctor’s office and then having to drive across to fill/pick it up! That alone is worth a lot to me. That is a great perk, Audrey! Great tips! They don’t have one near us, but I’d love to see one added. You’re right Donna that we have to do our part to stay healthy. But thank goodness for express treatment like this to avoid long waits in the urgent care clinics. I can’t wait for them to put one in our area. Love the pics you shared! Happy Wednesday! How is the family? Hi Cori! I don’t like doctors/hospitals, etc., but going to the clinic in Walgreens didn’t give me that white coat syndrome. 🙂 Doing okay… I’m going to visit with my brother/family this Saturday and spending a few days. I’m looking forward to it. I hope all is well with you, Cori! I am so excited to have one of these near us soon. I keep hearing amazing things about these clinics. I’ve taken the kids there before. It’s more convenient for little things. I love walk-in clinics like this! They’re perfect for those times my daughter and I are pretty sure she has strep! They have one near my husbands work. Maybe he’d stop in to treat those allergies more often if he knew this! I gotta tell him about it! We have so many Walgreens locations and none have a clinic. I wish they’d open one in the Springfield, IL area! We have this at our walgreens!! I haven’t used it yet, but they are always busy with sick people. Those are great tips! 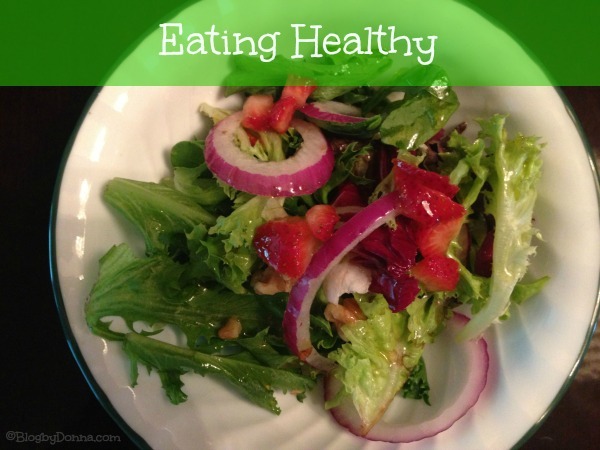 Healthy eating is so important! My husband hates going to the doctor but he has gone to one of these types of clinics and liked it. I think it takes the whole doctors office/hospital feel out of it. The walk in clinics are perfect for my busy, work at home life style! I have not but am thankful to have Walgreens as an option! 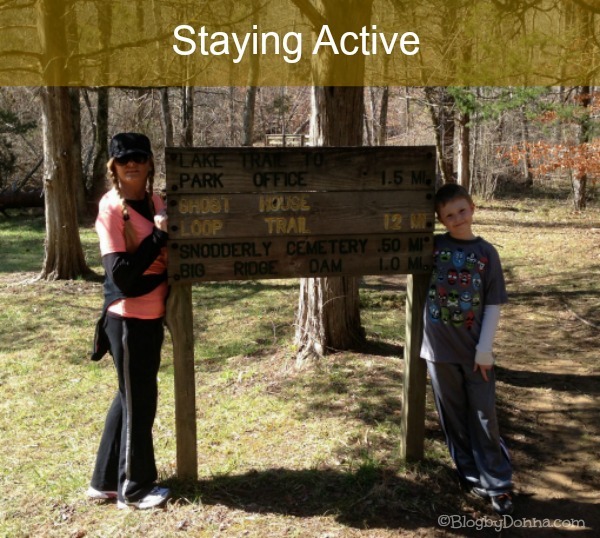 Great post, this year we have been trying to stay more active and I am making a lot better choices on snacks and dinners!!! So far I have lost 12 lbs, and it feels really good! I didn’t know Walgreen’s was offering these services. Will be checking it out for sure! I really need to see if my children’s insurance covers a Walgreens clinic. We have one within walking distance from our home, so it would be great to know we could stop in anytime the need should arise!